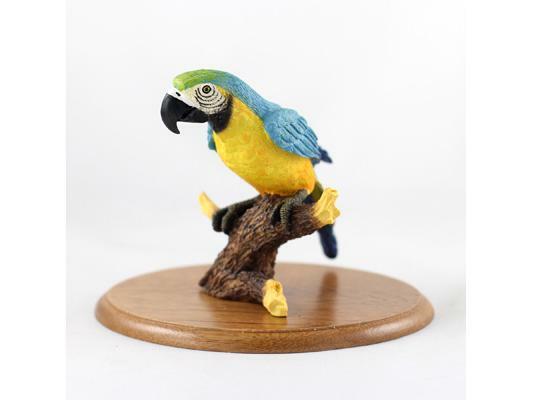 Blue Parrot Rainforest Figurine measures between 4" to 5" tall. From the backyard to the barnyard, the marsh to the rainforest, any place is a happier place with the sound and color of our feathered neighbors. Their individual personalities and plumage come home (yours) to roost in these stone resin sculptures.